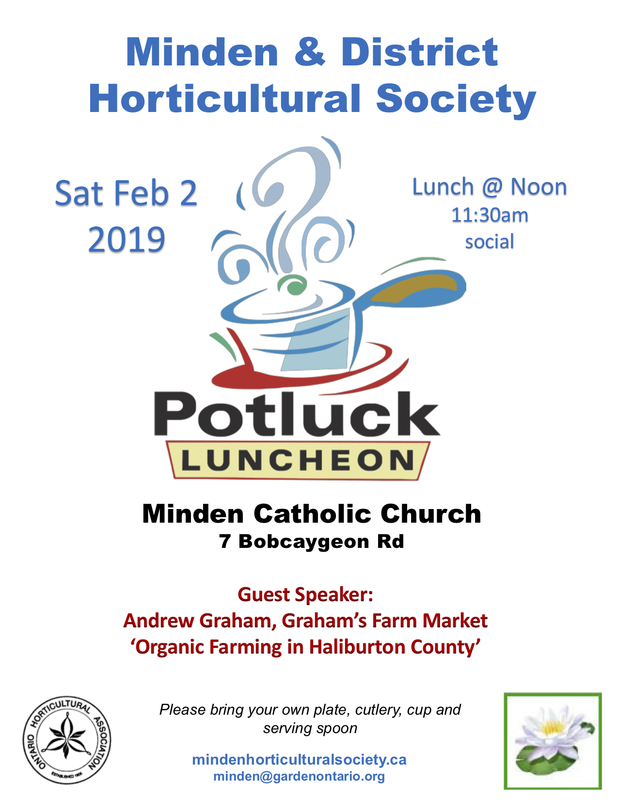 Our guest speaker for our potluck luncheon is Andrew Graham of Graham’s Farm Market in Minden. Graham’s Farm grows organic fruit and vegetables, farm fresh eggs, meat birds, cut flowers and preserves using innovative farming techniques. Andrew is going to share with us some of the challenges of “Organic Farming in Haliburton County”.